Remember when I was doing really well at posting? We are going to try to do that again. If you didn't know Erik and I recently purchased our first house. We have been here for a few months and are slowly turning it into our home. I thought it would be fun to make Monday posts theme posts and show you a few things we have done to spruce up our new house. I am going to call the series Makeover Monday's and try my very best to post weekly. For this week's post I wanted to show you one of the first things I did in my office to add something to the walls. I grabbed a few of these cork board place mats from Ikea for super cheap. I used my hot glue gun to stick two of the place mats together so they would be thick enough to protect my walls from push pin marks. After that I used some mounting tacky to stick the cork boards above my desk. 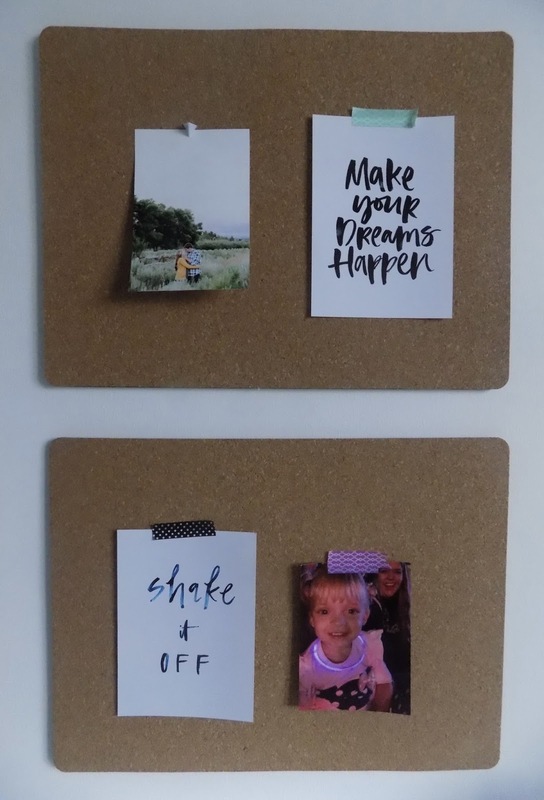 I added in some pictures, quotes and things I need to keep track of to the cork boards with push pins and some wash tape to brighten them up. 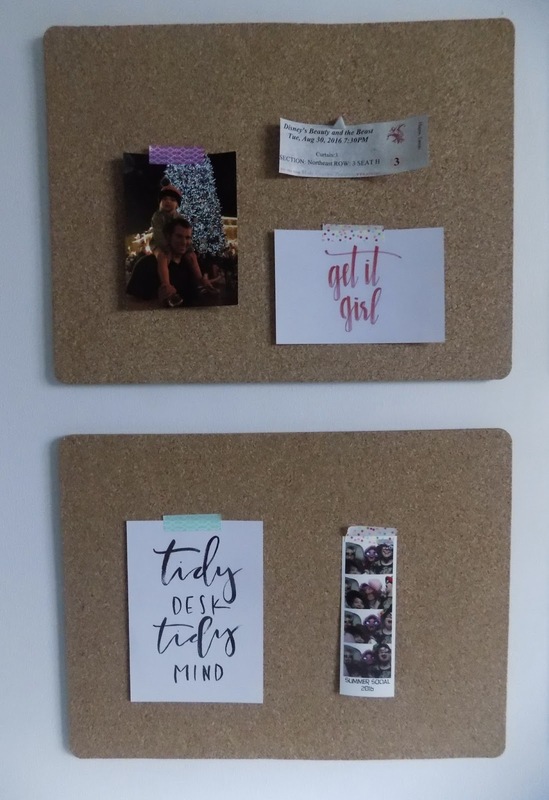 It looks really clean now but I know that the cork boards will soon be cluttered with a ton of stuff I want to keep track of.